Peppa's Easter Egg Hunt (Peppa Pig) as low as $1.99!! Home Amazon Peppa’s Easter Egg Hunt (Peppa Pig) as low as $1.99!! Peppa’s Easter Egg Hunt (Peppa Pig) as low as $1.99!! Update: The paperback price is lower today on Amazon. Get your kids excited for Easter and Easter Egg hunts with the Peppa’s Easter Egg Hunt (Peppa Pig) Kindle eBook for as low as $1.99 on Amazon! If you prefer the paperback, it’s just $3.59 from Amazon! Check out all of the recent Amazon deals here! 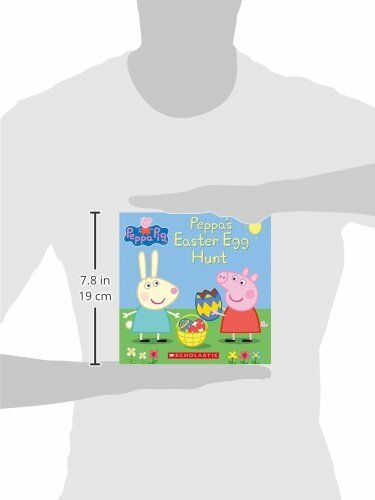 Buy the Peppa’s Easter Egg Hunt (Peppa Pig: 8×8) from Amazon.